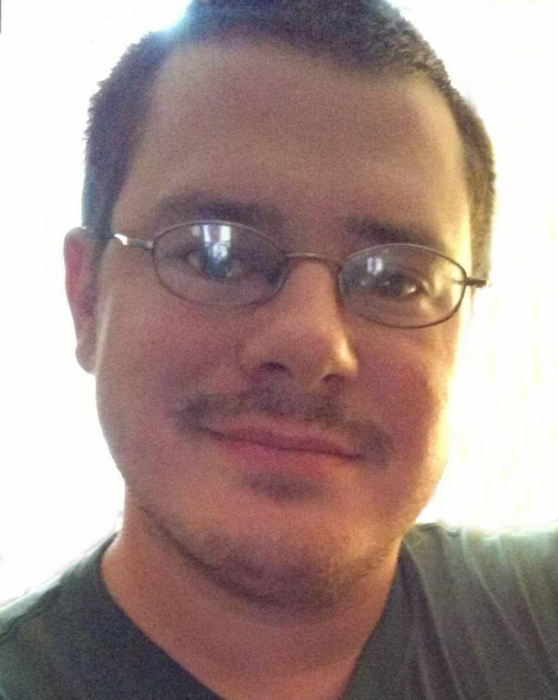 Obituary for David Anthony Taylor | Family Care Services, Inc.
David Anthony Taylor, 29, of Boardman, passed into eternal rest, Sunday, November 25, 2018 at Mercy Health Center in Boardman. David was born, April 16, 1989 in Youngstown, a son of the late Anthony E. Rubino, Sr. and Judith Gaver Taylor-Rubino. He was a graduate of Holy Family School in Poland and the Providence Christian Academy of New Waterford. He was a member of St. Jude Roman Catholic Church, Columbiana, the Rosary Cenacle of the church and in his younger years served in the capacity of altar server. Over the years, David also served as greeter, usher, reader and lector. He had a very deep devotion to the Blessed Mother, a gift passed on to him by his late father. David had been employed for eight years at the Davis Family YMCA, before moving on to work four years at Boardman Park as grounds keeper, a job he dearly loved. Most recently he was employed at Gabe’s, working in maintenance. David was blessed with a compassionate and understanding staff in each place of employment. They strived to enable David to meet his work potential. David enjoyed playing the guitar, video games and ultimate frisbee. He loved the Rock and Roll Hall of Fame, movies, superman and his family. David was blessed with a circle of friends whom he loved dearly. They accepted David as he was, without judgement or expectation. He was not defined by his limitations. He is survived by his mother, Judith Taylor-Rubino of New Waterford; two sisters, Anne M. (Tom Torkelson) Taylor of Golden Valley, MN, Melissa A. Taylor of Youngstown; a brother, Michael B. Taylor of New Waterford; three nieces, Gretchen A. Van Ess of Golden Valley, MN, Aaliyah G. Mike of Youngstown and Anna M. Torkelson of Golden Valley, MN. David was preceded in death by his father, Anthony E. Rubino, Sr. and his grandparents, John F. and Dorothy M. Schmidt and Eugene and Angeline Rubino. Life for David was filled with challenges, yet there was always a certain innocence, Grace, Inquisitiveness and spirit he strived for. He was always trying. The journey for David has been long, but we embrace and celebrate his many accomplishments and attributes. He was kind, compassionate and giving. He had a keen sense of humor and a charming wit. There was a depth of spirit that went beyond this physical plane and brought light into the lives he touched. A Funeral Mass will be held at 11:00 a.m. on Friday, November 30, 2018 at St. Jude Roman Catholic Church, Columbiana, with Father Christopher Cicero officiating. Burial will be in New Waterford Cemetery. Friends may call at the Warrick-Kummer-Rettig Funeral Home, Columbiana, from 5:00 p.m. to 8:00 p.m. on Thursday, November 29, 2018, where a Chaplet of Divine Mercy will be said at 4:30 p.m. Contributions in memory of David may be made to the Anthony Rich Center for Autism c/o 1 University Plaza, Youngstown, OH 44555.